Occurence A wide variety of places but they thrive in moist, wooded areas. Causes nasty stings and spreads quickly. There are two main types of nettle – annual nettles (Urtica urens) which completes a life cycle (seed to seed) within one growing season / calendar year. The other type is a perennial nettles (Urtica dioica) which will continue to regrow, over a few seasons. They are single stalked and flower from late April to early October that are easily recognisable by the brown / green tassles flowering in a cluster. These flowers are male or female and are wind-pollinated. 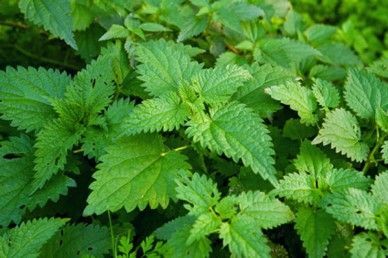 Nettles can be found in a variety of environments, but primarily in moist, wooded or open areas including paddocks, roadsides and farmyards. Both the upper and lower surfaces of the leaves have hairs which cause a nasty sting when touched but more importantly, they can form large clumps up to 1.2m in height and will compete with other plants for nutrients, light and water and eventually completely take over a garden or field. How do I control Nettles? Plants can be dug up and removed, but the easiest method of eradication is by chemical control. Nettles growing on bare soil or hard surfaces can be killed using a total herbicide which will kill everything it comes into contact with, including grass. For nettles in grassland we recommend using a selective herbicide which will control the target weeds and leave the grass unharmed. Please see the below products that will control nettles.